The green movement has been highlighting the importance of energy conservation for years, and after the oil-price spiked in 2008, utility companies started to add fuel surcharges to customers’ bills. How can you avoid paying larger fees? First and foremost, change your old and unefficient roller shades. Your windows are only single panes of glass, maybe doubles and that means there’s not much of a barrier between the inside and the outside of your house. Our roller shades can add an extra layer of insulation and increase the energy efficiency of each window. Otherwise, hot air will end up escaping around the curtains and into your room – and vice versa with cold air. For energy-efficient shades, skip single louvered panels, whether made of aluminum or vinyl and aim for shades constructed in a cellular or honeycomb pattern. 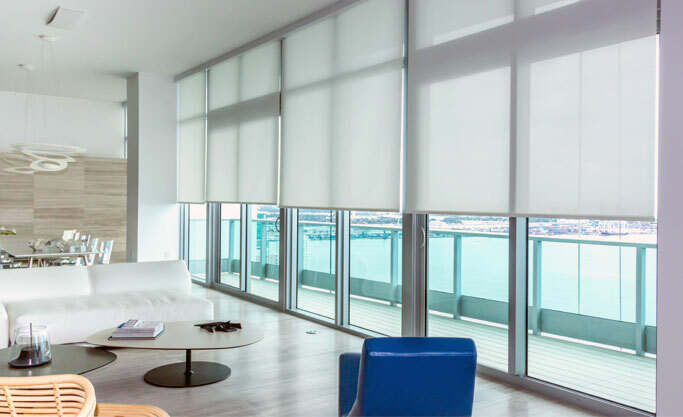 Roller shades, made from heavy-duty fabric, can also reduce window energy loss. To get the most out of the shade, mount them on a track that runs inside the window frame. When the shade is down, very little energy will seep into or out that window. Keep in mind that the most sunlight comes through south and west facing windows and, if you have storm windows, they would attach so that you can still open the window and let air in when you want. If you have any questions please call us at (786) 277 2662 to speak with a specialist.